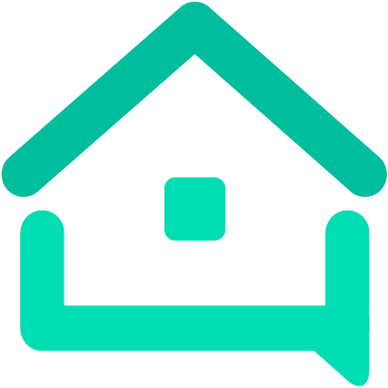 My first 1* rating - We are your AirBnB hosts forum! It’s certainly worth a try. They took down this review because I had verifiable facts in my favor. Each thing the guest complained about was clearly written in my listing, so it wasn’t a matter of he-said, she-said. If you can show proof of the lies, then you are likely to get a better response from them. Good luck! Thanks. So far, no luck. They’re telling me that there is no bad language or threats, so it doesn’t violate the TOS. I’m sticking with it though! The case manager is telling me that reviews are important for transparency, but a guest making up a bunch of lies about me is anything but transparent! The overall rating used to be (I believe) an average of the six ratings. Sometime this summer AirBnB changed the overall rating and made it stand alone. So when I got six 5s with an overall rating of 4, and complained about it to the Superhost line, I was told that it’s not an accident. They are letting the guests specify a separate overall rating because they think it will improve other guest’s abilities to evaluate places to stay. For me, that’s a bit of a stretch because the guest never has to say why. Plus, the guests never see the individual ratings. It just affects our averages. Whenever I reply to a less that stellar review I always reply to a few positives on the same page so it doesn’t look like I only acknowledge the negatives (although it’s true). Got a three star from a lady - first ever. I decided not to respond which I think was right despite the fact that I think she was the problem. After night one I asked if she slept ok only to be told she was cold under the window and the room was too big. After umpteen guests though winters we have never had anyone complain about the window because it is covered by a verandah and has very very heavy curtains. As for “cant sleep in such a big space” - well it was per the Photo and description (bedroom and lounge area combined) Anyway we moved them into another room with much less window and the bed not under it. Next day I asked if that was OK and she said it was much better but she had managed to tear down the curtains, could I put them back up please - well of course but odd they should come off the end of the rail after 4 years at least - she must’ve really hauled on them. They went out. Our door currently makes a load bang when shutting due to the house sinking as the soil dries out so we hear people coming and going but somehow they snuck in and foolishly I assumed they were out, I wanted to make sure the heater had come on but did not knock only to find they were in the room reading in the half dark!! Death of me, I backed out but later explained I was checking the heating (incidentally our house rules point out that it is a good idea to say hello when you come in so we know you are there just for reasons like that). Her review did not mention the room invasion but said that the room was dusty - Hmm that was not the room they were checked in to; it as a favour to them and yes it was probably a week since it was dusted. Hard not to reply but who wants to highlight dust. I nearly said " it was strange she found some dust as we normally charge extra for dust" but refrained! The dust was probably on top of the curtains that she pulled down; don’t know about you but I do not climb a ladder and vacuum the tops of the curtains very often! Anyway her review has dropped away but knocked the average a little bit and I have calmed down so I believe that no-reply was the best thing. I nearly said " it was strange she found some dust as we normally charge extra for dust" but refrained! Keeping a straight face and keeping ironic comments to yourself is probably one of the most difficult parts of hosting! Recent 2 star rating. Every other review 5 stars. Wanted anonymous checkin - I don’t offer that. Said there was a stain on the pillow case - it was a peg mark. Desk not well enough lit - there are 7 lamps available, so he could choose and arrange the lighting as required. Said there was a stain on a chocolate brown towel- there were 8 other towels available. He complained about traffic noise and light pollution - mentioned multiple times that unit is in the town centre and on a busy road with potential for noise. BUT DID HE TELL ME THERE WERE ISSUES … NOPE - had to moan in a review. I would have instantly changed the linens or offered him anything else of the four properties I have to make him comfortable. Wait! How did the OP host manage to get the review taken down? I don’t see where it violated Airbnb’s terms of service and everybody says they just won’t take down a review otherwise. Man, Airbnb’s support personnel are inconsistent little buggers.